Looks like Hikone Castle will be one of the major snow sculptures at next year’s Sapporo Snow Festival in Feb. It will be the 400th anniversary of the castle, and Hikone is holding various events next year. I’m sure they are extremely happy that the castle will be built at the snow festival. It’s very good PR. I’ve been to the snow festival once, and I have to call it one of Japan’s Top Five Festivals. It’s truly awesome. And also very international with many groups from overseas carving smaller snow sculptures. The only problem is that it is impossible to get a cheap hotel room during the festival. It might be best to stay at a hotel in a nearby city or onsen instead. Next to Hikone Castle is Genkyu-en Garden. It’s a small garden, but nice enough to visit. In 1980, there was a popular mini TV series called “Shogun” which aired in the US. It starred Richard Chamberlain, Shimada Yoko, and Mifune Toshiro. It was a great series based on the epic novel “Shogun” by James Clavell. I think it’s available on video or DVD. I tried to read the novel, but it was too long and I never finished it. Great story though. Anyway, one scene shows a Japanese garden, and it was Genkyu-en. You can recognize it immediately with the pond, tea houses, and Hikone Castle in the background. I was very surprised to see it. “Wow, it’s Genkyu-en! !” I highly recommend seeing this show. Soon we will see fall colors and Genkyu-en is one place to see it. Last year, I was in Shiga in Nov., so I visited many places in Shiga famous for autumn leaves. Of course I visited Koto Sanzan 湖東三山 which was very nice. I thought Saimyoji was the best. Shiga has many great places with autumn leaves, so it’s too bad that most tourists go to Kyoto instead. It’s too crowded there in autumn, Kyoto’s peak season of the year. What really impressed me last year was the fall colors at night. Genkyu-en lights up the autumn leaves at night during Nov. It’s very nice, very different from daytime. There is also Hyozu Taisha Shrine 兵主大社 in Yasu, Hiyoshi Taisha in Sakamoto, and Kyorinbo in Azuchi. They all have excellent fall colors which are also lit up at night in Nov. I highly recommend seeing fall colors at night. If you have a BF or GF, it would be very romantic to see the stars at night and colorful leaves against the night sky. There are buses from Yasu Station going to Hyozu Taisha at night. They also had mini concerts at night, so it was nice to hear “Twinkle Twinkle Little Star” played on a musical instrument while you see the leaves. I didn’t see Kyorinbo though. It’s too far from Azuchi Station and there are no buses. Take your car or a taxi (4,000 yen maybe). I checked the Hikone city Web site and they have a good English section. Hikone Castle was also home to Lord Ii Naosuke 井伊 直弼. He’s my hero. 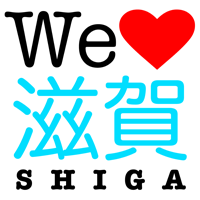 I’m very, very proud that he is from Shiga. He was a high-ranking official (Tairo or Chief Minister) in the Tokugawa Shogunate (bakufu) when Commodore Perry came to Japan with his kurobune Black Ships. Naosuke convinced the Shogun to open up Japan to foreign trade and relations. So he was a key person and pioneer for internationalizing Japan. He and Commodore Perry are credited for ending Japan’s isolation from the rest of the world. Naosuke was later assassinated in 1860 near Sakuradamon Gate at Edo Castle by rebels opposed to Japan’s internationalization. There’s a statue of him at Hikone Castle and at Kamonyama Park in Yokohama which was one of the treaty ports opened to foreigners. Another famous Hikone resident was Ishida Mitsunari who lived in Sawayama Castle near Hikone Station. It’s strange that the Hikone Web site does not mention him. Ishida led the western forces at the Battle of Sekigahara only to be defeated and beheaded by Tokugawa Ieyasu. I tried to visit Sawayama Castle earlier this year. There’s nothing left of the castle, but there is a hiking trail on the hill. I tried to walk on the trail, but it had too much undergrowth because very few people walked on the trail. I didn’t want to get bitten by a snake so I decided not to continue. So I think I wrote enough about Hikone. Are you daunted by reading such a long text in English? Well, just wait until I write about Otsu. It will be like a book.